ALICE H. MARTIN is CEO of Martin Legal & Compliance Services, LLC where she specializes in advising Firm clients in internal investigations, white-collar civil and criminal defense, compliance consulting, and helping individuals and companies comply with federal laws. With over 38-years’ experience successfully prosecuting and defending individuals and companies accused of various white-collar crimes, her experience in and out of the courtroom, provides you skillful guidance. As a former United States Attorney for the Northern District of Alabama, and former Chief Deputy Attorney General for the State of Alabama, her experience includes successful litigation in complex public corruption and white-collar matters, including health care fraud, pharmaceutical fraud, securities fraud, financial institutions fraud, and consumer fraud. Alice is an experienced trial attorney with an early career as an Assistant US Attorney successfully first-chairing civil and criminal trials as well as appeals. During her 20 years as a prosecutor, she investigated and prosecuted individuals and companies in civil and criminal matters both in federal and state courts. In the private sector she has used that expertise to successfully represent corporate clients and prominent individuals in internal investigations, regulatory compliance, and resolve white collar civil and criminal matters. Coordinating a phalanx of government lawyers, accountants, and F.B.I. agents from Washington, Atlanta and Birmingham, she wrested guilty pleas from 11 top HealthSouth employees, including all five of the company’s former chief financial officers, in just over seven weeks. As United States Attorney, Alice led Alabama’s busiest trial district supervising a staff of over 100. She created the North Alabama Public Corruption Task Force which obtained over 125 convictions of public and elected officials. She supervised the Health Care Fraud Task Force which recovered almost $1B in civil and criminal health care fraud litigation. Other areas of focus included economic crime, domestic terrorism (prosecution of Eric Robert Rudolph), narcotics trafficking, money laundering, environmental and civil rights cases. Alice was appointed by United States Attorney General John Ashcroft to the Attorney General’s Advisory Committee – a panel of 17 US Attorneys that advise the General and help carry out the President’s national goals. She was selected to Co-Chair the Health Care Fraud Advisory Committee for the Department of Justice. The Corporate Crime Reporter named Alice a “Top 10 Corporate Crime Prosecutor” in the United States in 2004, and the IRS awarded her the Director’s Award (highest non-IRS employee award honor) for her work in the prosecution of HealthSouth Corporation, a $2.8B accounting fraud. As Chief Deputy Attorney General, Alice led Alabama’s Office of the Attorney General with a staff of over 180 in the successful prosecution of public corruption; DTPA – consumer frauds; civil defense of state agencies; and health care and pharmaceutical fraud under the Alabama Medicaid Fraud Control Unit. As legislative liaison she advanced the Attorney General’s legislative agenda through drafting and advocating for passage of several pieces of legislation. She is a member of the Association of Certified Fraud Examiners and holds the CFE designation. [S]he became the first federal prosecutor to enforce a provision of the Sarbanes-Oxley law holding top executives responsible for the earnings statements they issue. Alice began her professional career as a Registered Nurse, and worked in psychiatric nursing at Vanderbilt Hospital and home health nursing during law school. As a former Registered Nurse, and health care fraud prosecutor and defense attorney, she brings a unique perspective on issues that face today’s health care providers and entities. She has represented health care providers in matters ranging from professional liability to regulatory compliance matters. She is certified by the Health Care Compliance Association in health care compliance (CHC) and health care privacy (HCPC). She has in house experience in health care compliance as Vice President of Ethics and Compliance for a multi-state hospital management company (formerly RegionalCare Hospital Partners now LifePoint), and served as Interim Compliance Officer for WakeMed Health & Hospitals in North Carolina during its Corporate Integrity Agreement with the US Department of Justice. 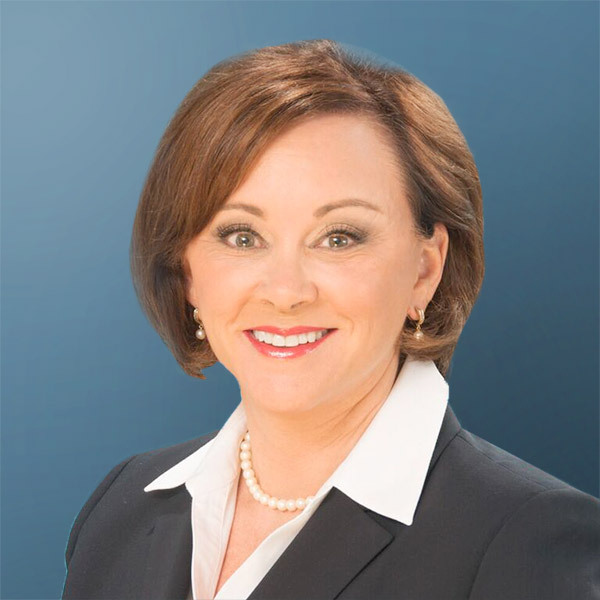 In addition to legal and compliance work in the public and private sectors, Alice is a former Circuit Court Judge in Alabama having presiding over civil and criminal jury trials. She is a certified civil mediator and domestic mediator. Ms. Martin received her undergraduate degree from Vanderbilt University School of Nursing (B.S.N.) and worked as a Registered Nurse (R.N.) in adult psychiatry. Upon entering law school, she worked as a home health R.N. and received her Juris Doctor from the University of Mississippi School of Law. She is licensed to practice law in Alabama, Mississippi, and Tennessee. GSMI’s Governance Risk Management & Compliance Summit: Annual Conference 2012 (Chicago), If the Regulators Knock, What Will They Look For?